We deal in aluminium components..
We offer high quality full machined aluminium components. 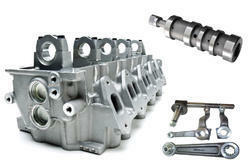 We are counted amongst the leading companies involved in offering a wide assortment of Air Compressor Aluminium Parts. We offer these in different specifications and can also be customized as per the specifications given by our customers. These have excellent finishing and are used in various industrial components. We are well versed with all types of Aluminium Machining & Aluminium Pistons for some leading actuator manufacturers.We can machine the components as per customer requirement to satisfy customer demands.We have an expertise over Aluminium machining. We make as per client requirement. We have got aluminium foundry with facility for die casting and we can supply any type of aluminium components with weights ranging from 10 gm to 10 kg. 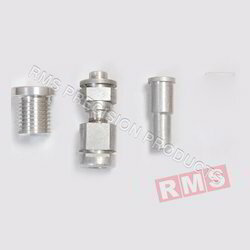 With sincerity and hard work of our professionals, we have carved a niche for ourselves in this domain by providing a premium quality gamut of Precision Aluminium Component. We offer a quality range of Aluminum Component. Our range is available in various technical specifications and can be tailored as per the requirements of our clients. Our range is precision engineered which ensure enhanced durability and performance in the final product. These are used in various machines for its application specific design and corrosion resistance features.